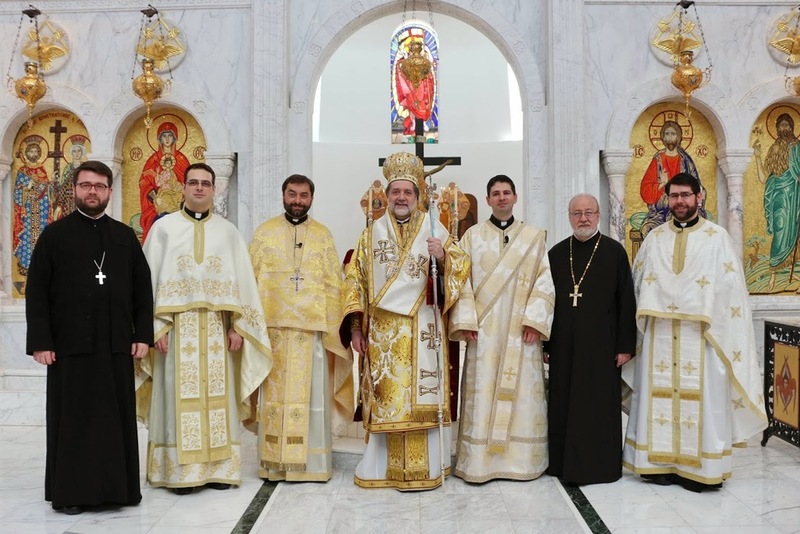 On Sunday, March 2, His Eminence Metropolitan Nicholas ordained Alexandru Radulescu into the Holy Diaconate at Sts. Constantine & Helen Greek Orthodox Church in Westland MI. Dn. Alex is a graduate of the "Andrei Saguna" Faculty of Orthodox Theology at the University of Sibiu, Romania, and earned a Master of Arts in Theology degree at Sacred Heart Roman Catholic Major Seminary in Detroit MI. 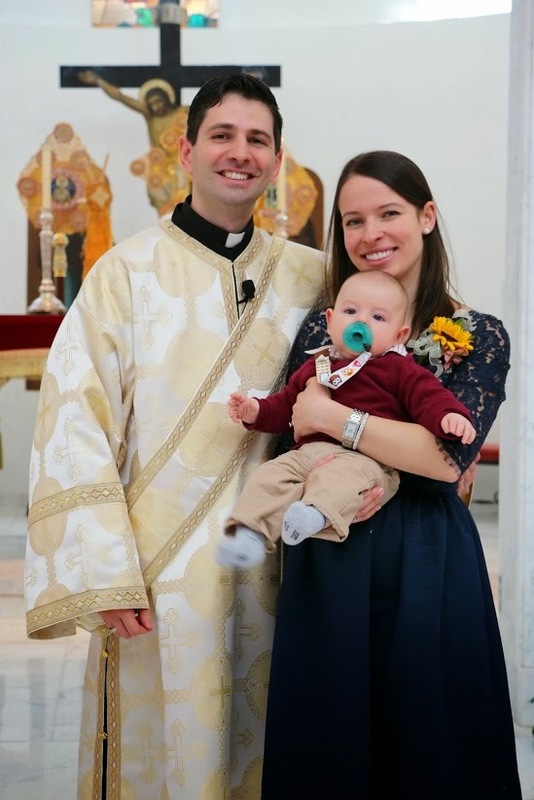 Upon his arrival in the United States more than ten years ago, he served as cantor at St. George Romanian Orthodox Cathedral in Southfield, and volunteered in various capacities there as part of the Cathedral parish family. Since 2009, he has served as assistant to Metropolitan Nicholas at the Greek Orthodox Metropolis of Detroit chancery office, traveling with His Eminence on parish visitations and fulfilling responsibilities in the office. He is married since 2012 to Dsa. Silvana, whom he met while attending St. George Cathedral, and they were recently blessed with the birth of their first child. Also participating in the Divine Liturgy and Ordination were Rev. Fr. Teodor Petrutiu, parish priest, together with visiting priests: V. Rev. Fr. 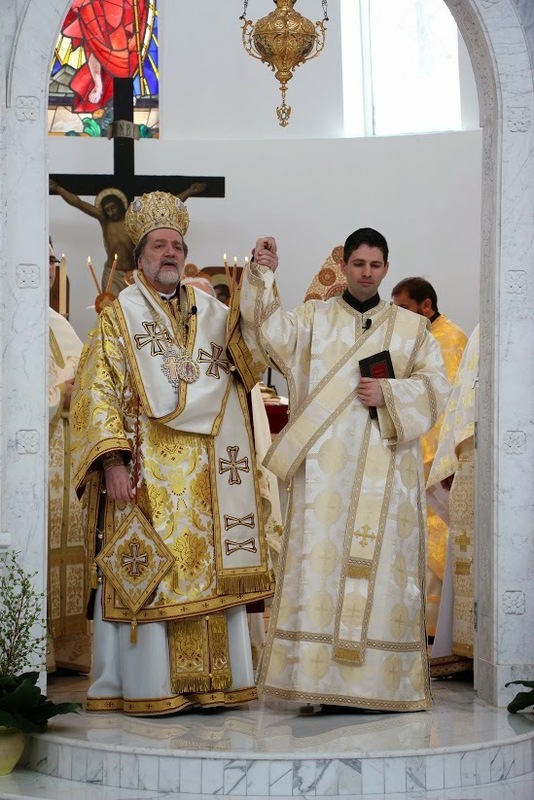 Laurence Lazar, St. George Romanian Orthodox Cathedral, Southfield MI; Rev. Fr. Ciprian Streza, Archangel Gabriel Greek Orthodox Church, Traverse City MI; Rev. Fr. Anthony Cook, St. George Greek Orthodox Church, Southgate MI; and Rev. Fr. Dan Hoarste, St. Mary Hierarchal Chapel, Grass Lake MI. In addition to his mother, in-laws and other family and friends in attendance, Dn. Alex's father -- who was unable to travel from Romania for the occasion -- witnessed the event via iPhone FaceTime! We wish Dn. Alex, Dsa. Silvana and family many years as they continue their service in Christ's Church!